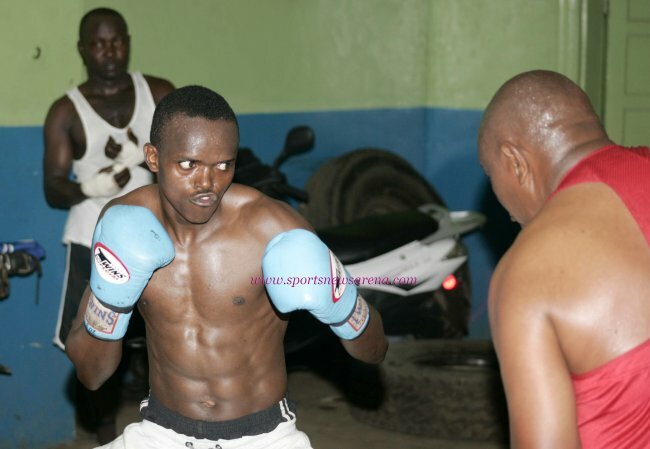 Commonwealth Games bronze medalist Kenyan Benson Gicharu sensationally defeated reigning AIBA World Champion Javid Chalabiyev of Azerbaijan in the final two AIBA Pro Boxing (APB) Cycle I Round 2 Bantamweight match were held on Saturday night in Guiyang, China. "I am glad that all went just as planned winning on a unanimous decision against Javid who is 2013 worldchampionship Gold medalist and currently placed number 2 in the Aiba ranking,"said a thirlled Gicharu from Guiyang. The Kenyan was busier from the outset of the 56kg bout, and his rapid effort resulted in many shots hitting the target of his decorated opponent.